I am an innovative and creative thinker and a motivational speaker with a passion to make our world a better place through execution of sustainable development goals. Like minded individuals and organizations who see their lives and existence alike as a rear privilege to create impact on lives of individuals and help them thrive to a point of self independence especially through boosting their personal hygiene and health as large. 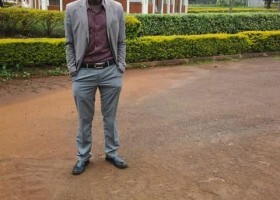 I am a young undergraduate student frombMoi university, Kenya.I specialised in Technology Education with a strong leadership spirit to inspire people for maximum performance. Am skilled in peer education and counselling and in developing plans for achieving goals and targets for education. I am a highly goal driven and always aspire to contribute to success of others whom I interact with.